Hey guys! 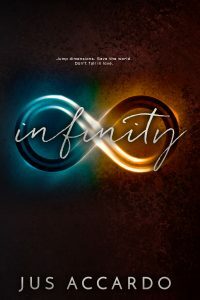 Just one month left until Infinity is out in the world and I can’t wait! To celebrate, I’m releasing the first chapter on Monday, along with a contest to win a signed copy. The chapter and contest details will go out to newsletter subscribers first. That means a head start on entries before the contest opens to everyone on October 15th! The contest will end on Monday October 31th. If you’re not signed up for the newsletter already, you can do so here!